PDF Converter by Readdle by Readdle Inc.
PDF Converter - Convert Documents, Photos to PDF from Readdle gives you a quick and easy way to convert your files and photos to PDFs. You can save a PDF from email, Dropbox, and other apps, plus share your documents using iCloud. Convert web pages, pictures, and clipboard content with this intuitive tool. 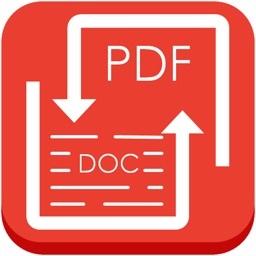 PDF Converter - Convert Documents, Photos to PDF from Readdle lets you convert files on your iPad or iPhone, save to Dropbox or iCloud, and work with various document types. 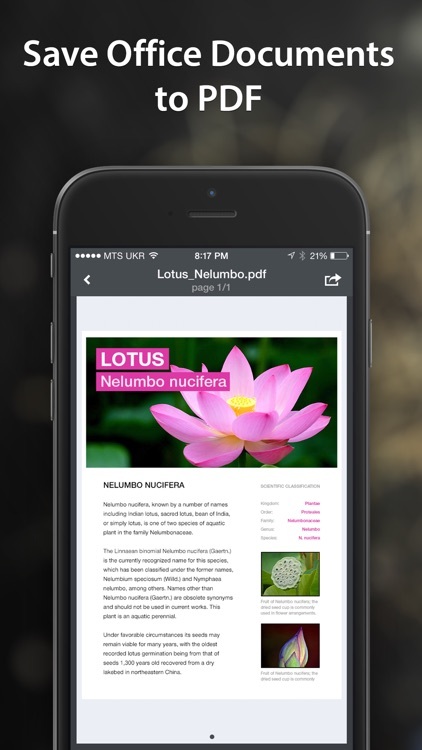 Make PDFs from any file that you have on your iPad or iPhone. Save Word, Excel, Powerpoint or iWork documents, web pages, photos and even clipboard content as professional quality PDFs. 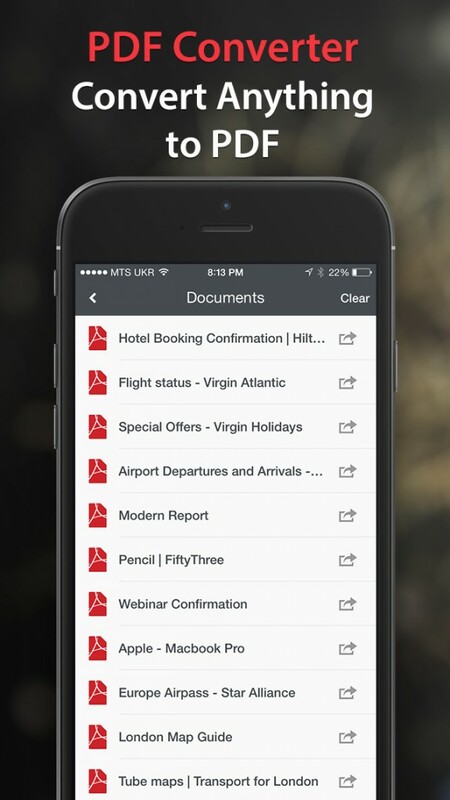 Everything from a multi-million contract to a web page you want to read later can be saved as a PDF in just a few taps. “PDF Converter for iPad, An Indispensable Tool” – Wired. 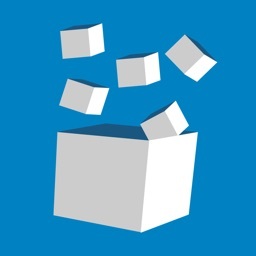 “Readdle PDF Converter for iPad chews up documents, spits out PDFs” – The Next Web. 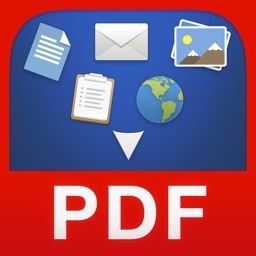 “PDF Converter lets you convert practically any file on your iOS device into pro-grade PDFs” – AppAdvice. The process is 100% secure since conversion is done locally on your iPad or iPhone. Your documents will never have to leave the device! What’s even better, is that you don’t need internet connection to do this. 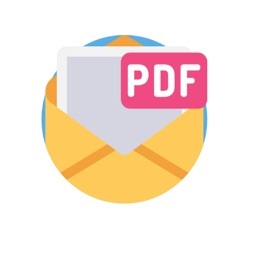 Once installed, PDF Converter appears in the "Open In..." list on your device. 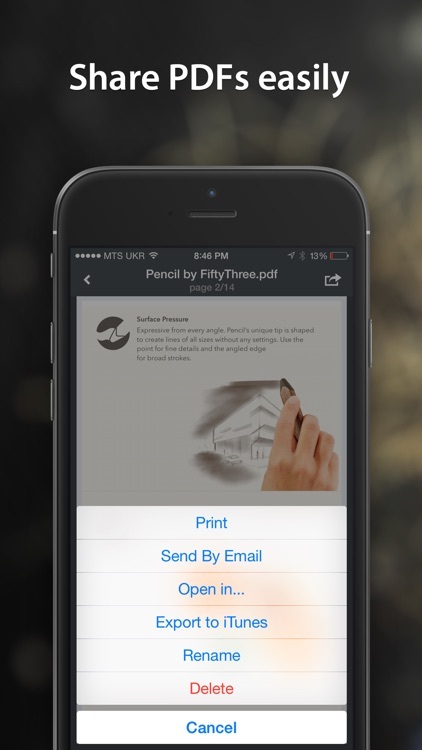 This lets you save a PDF from Mail, Dropbox, Documents 5 and any other application on your device. 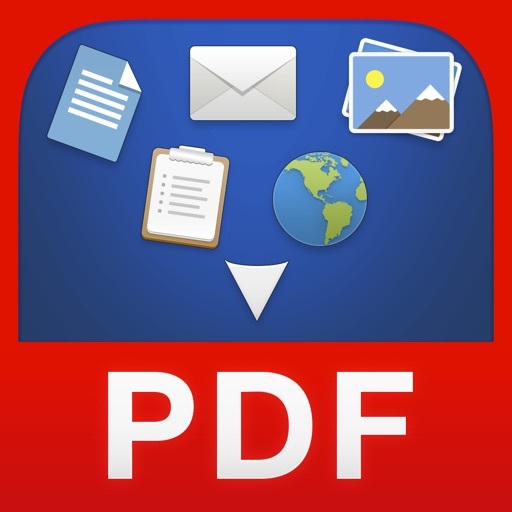 PDF Converter does support iCloud Drive, so you can collaborate with other apps easily. Starting with iOS 8 you can convert files stored in iCloud Drive folders of other apps and share PDFs between apps. Whenever you’ve done converting the document, you can save the PDF back to iCloud Drive. Extensions let you convert web-pages from Safari and photos from Photo Library without even opening PDF Converter. Once enabled, Photo extension gives you an ability to convert several photos from Photo Library into a multi-page PDF file. To convert web-page just change "http" to "pdfhttp" in Safari address bar and tap Go. 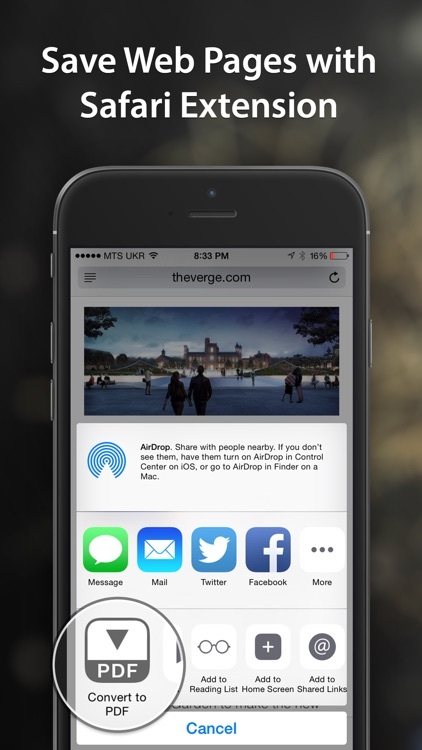 With iOS8 you can convert web-pages using Actions extension directly from Safari. Word, Excel, Powerpoint, Pages, Numbers, Keynote, TXT, HTML, JPG, PNG, Safari webarchive. Popular apps like Scanner Pro, PDF Expert 5, and the Spark email client are ready for Apple’s latest OS. 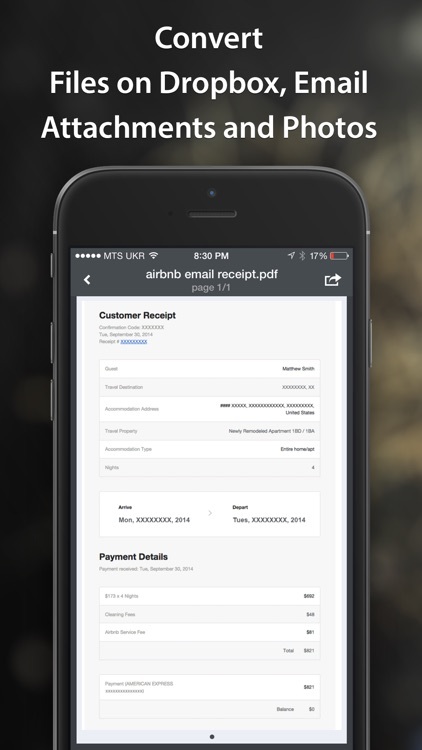 Readdle has finally updated PDF Converter with support for iPhone and iPod touch.